Which gorilla region is best for gorilla region is best for gorilla trekking is one of the commonly asked questions by travelers intending to see mountain gorillas in Bwindi forest national park. Gorilla watching safaris in Bwindi take place in four different regions located in different corners of this jungle forest. Honestly, the correct answer to this question depends on the choice and preference of a traveler. Each region has distinct features that make it exceptional from the other. For longtime travelers, it’s advised to trek gorillas in all regions for accurate comparisons. Four regions namely Rushaga, Ruhija, Nkuringo, and Buhoma make up the magical Bwindi impenetrable forest national park, home to the highest number of mountain gorillas in the world. We bring you details on each gorilla region in Bwindi to help you draw a better comparison before choosing which region to visit for gorilla trekking. Situated in southern Bwindi forest, Rushaga sector has presently become a favorite gorilla region for most travelers. The ease of access to Rushaga from Kigali Rwanda has made it a first stop center for most Rwanda Uganda gorilla safaris compared to other regions. A drive from Kigali international airport is roughly four hours through Cyanika border in Kisoro district. Also, Rushaga sector is home to a high number of mountain gorilla families. These are Kahungye, Nshongi gorilla family, Bweza gorilla family, Mishaya gorilla family and Busingye gorilla group. Each of the five gorilla families in Rushaga is visited by 8 people very day hence 40 gorilla permits available every day. There are high chances of getting gorilla permits in Rushaga compared to other regions. Also, the sector has a wide selection of luxury, midrange and budget lodges/camps to provide travelers with quality food and sleeping services at affordable rates. The top lodges in Rushaga include gorilla safari lodge, Chameleon hill lodge, Mutanda lodge, Ichumbi lodge, gorilla valley lodge, and Bwindi jungle lodge among others. Besides gorilla trekking, Rushaga sector is a center for gorilla habituation experience. Two gorilla families namely Bushaho and Bikyingi are undergoing habituation each visited by four people every day. A gorilla habituation permit costs $1500 but the experience is worth the penny. This exceptional gorilla experience makes Rushaga sector a distinct and best gorilla region in Bwindi forest national park. Buhoma sector has exceptional features that make it outstanding compared to other gorilla regions in Bwindi forest. Buhoma is located in the northern part of Bwindi impenetrable forest and is the first region to host the first group of travelers to trek gorillas in Bwindi. 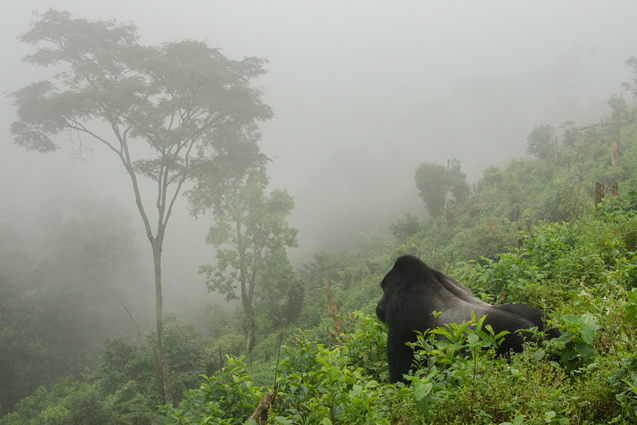 The sector is home to Bwindi’s oldest gorilla group (Mubare), which was habituated in 1992 when gorilla tourism was initiated in this jungle forest. Also, the ease of access to Buhoma from Kabale makes it the first stop for travelers driving from Kampala/Entebbe road. Those flying from Kajjansi to Kihihi airstrip easily connect to Buhoma, unlike other sectors. The sector is also known to have the k= most luxurious lodges which offer travelers with high-end food and sleeping services. Accommodation in Buhoma sector includes Mahogany springs lodge, Bwindi Volcano lodge, Buhoma lodge, Gorilla forest camp, Silverback Lodge and Buhoma community rest camp among others. In addition to Mubare family, Buhoma is home to Katwe gorilla group, Rushegura gorilla group, and Habinyanja gorilla groups hence 24 gorilla permits available every day. Other activities to do in Buhoma sector include waterfall hiking; bird watching ad local community visits for cultural experiences. The region is located in the eastern part of Bwindi forest national park and is home to 3 gorilla families, which are Bitukura, Oruzogo, and Kyaguliro. The sector has 18-gorilla permits available every day. Besides gorilla trekking, Ruhija sector offers a variety of tourism activities, which include bird watching, primate walking to see white, and black colubus not forgetting the cool, quiet nature walks. The top lodges in Ruhija sector include Bakiga lodge, Ruhija community rest camp, Ruhija gorilla friends resort campsite, gorilla mist camp, and broadbill forest camp among others. The best route to Ruhija is through kabala but can also be reached through kisoro but many hours of driving. Located in southern Bwindi, Nkuringo is a special sector of Bwindi forest national park. The clear views of Rwanda and the Virunga volcanoes while at the top of the Nkuringo hill make this sector distinct. Two gorilla families, which are Nkuringo and Christmas gorilla group, are habituated for trekking in Nkuringo. Christmas is one of the newly forced gorilla groups in this impenetrable forest and an encounter with this new family is indeed a remarkable experience. 16 f gorilla permits are issued out every day in Nkuringo. The accommodations in Nkuringo sector include Nkuringo gorilla lodge, clouds mountain gorilla lodge, Nkuringo gorilla campsite, Nkuringo gorilla lodge. These offer luxury, midrange, and budget food and sleeping services depending on the traveler’s budget. In general, each gorilla region in Bwindi is exceptional and worth exploring. Book a Uganda gorilla tour adventure to any of the four gorilla sectors in Bwindi, meet face to face with the endangered gorillas in their natural habitat for a lasting experience. If you have enough time, visit all regions for accurate gorilla trekking comparisons.